A Taste of Jamaica beckons from Southwest Fort Worth. 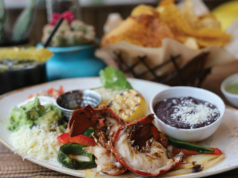 The tiny restaurant on the west side of I-35W near Berry Street has had several names over the last few years: Betos American Caribbean, Exodus Caribbean, and, since a new owner took over about seven months ago, A Taste of Jamaica. In all those incarnations, the place specialized in the hearty, spicy cuisine of Jamaica, whose default ambassador, Bob Marley, is all over the narrow dining area. Along with maps and travel posters, there are no fewer than 15 photos and ornate illustrations of the reggae master. He plays patron saint to some outstanding traditional Caribbean fare. The menu sign above the counter lists chicken, tilapia, kingfish, red snapper, shrimp, goat, and ox tail as the available meats. (The kitchen was out of ox tails on a recent visit.) 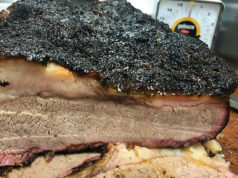 Most of the meats are offered in four different preparations: curry, brown stew, jerk seasoning, and escovitch (a style of cooking using vinegar, onions, and spices). All are accompanied by generous helpings of marvelous black beans and rice as well as cole slaw. The rice was light brown and slightly nutty but not nearly as chewy as a health foodie’s idea of brown rice –– this version had been simmered with a little coconut milk, which gave it a wonderful silken texture minus the rich Caribbean fruit flavor you might expect. (Unsuspecting eaters probably wouldn’t guess that coconut milk was an ingredient.) The Jamaican black beans, or turtle beans, were small, round, and had a nice smoky aftertaste. The slaw was thick, with soft shreds of cabbage marinated in a mild-mannered vinegar and pepper that made it simple but satisfying. The curry chicken was medium spicy and mouthwatering, prepared in a black-and-red-flecked sauce with little chunks of potato. The tender chicken meat, both white and dark, came off the bone with no resistance. On the subject of bones, diners should beware: Quite a few little shards were hidden in the meat, so chew and swallow with care. The brown stew chicken was equally scrumptious, flavored with garlic, onion, soy sauce, and some ketchup to lend it a napkin-required stickiness. The jerk chicken was by far the spiciest. The poultry pieces retained more fatty skin to soak in the dark sauce fired by two peppers, presumably habanero and cayenne. The escovitch red snapper was a fresh, non-fishy revelation: two fat filets pan-fried and served with a sauce of their own juices plus olive oil, vinegar, and onion. Inside its tight and crispy skin, the fish was white, juicy, and, happily, sans stealthy bones. 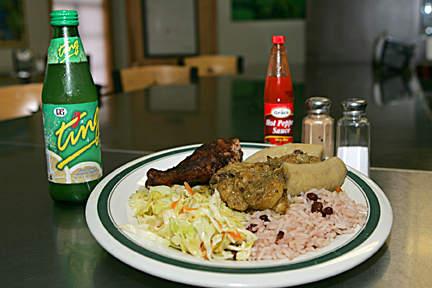 With only six small tables, A Taste of Jamaica is really more of a takeout place. 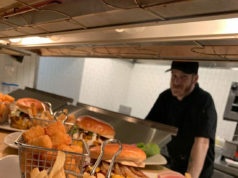 However, dine-in customers will experience the sensation of being watched by Marley from every corner while reggae music sways and lilts from the speaker system. Catching a contact high from the legendary Rastafarian prophet is nice but unnecessary: The authentic island flavors served here will lift you up all by themselves. 3000 S W Fwy, FW. 817-923-1177. 11am-8pm Mon-Fri, 11am-9pm Sat, closed Sun. All major credit cards accepted.